The Omega Manufacturing Inc AR-15 Ergonomic Pistol Grip is an excellent upgrade to your stock pistol grip. The Omega Manufacturing AR-15 Ergonomic Pistol Grip is well made using high-quality polymer and has a storage compartment for 2x CR123 Batteries. 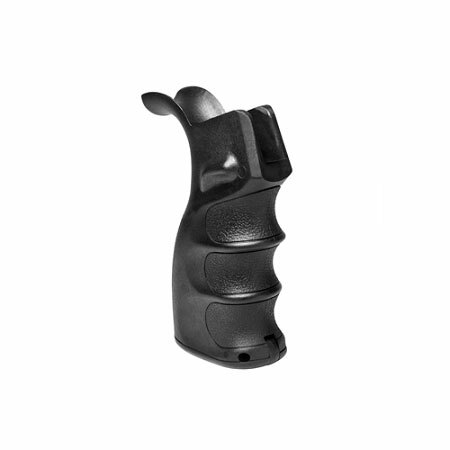 The pistol grip has ergonomic finger grooves and thumb rest for a better fit that will enhance handling and accuracy. Don't use some suspect quality pistol grip for your AR rifle; Ours are made from DuPont Nylon 6.6, a Standard of Quality.